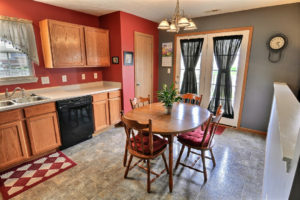 Welcome to 394 Chapelhill Dr.
We are pleased to share a sneak peek of our newest listing that will hit the market soon! 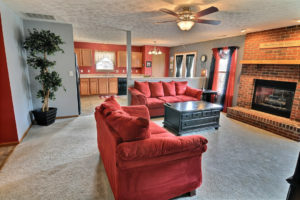 394 Chapelhill Dr. is apart of the Lexington Farms neighborhood just off SR 26. 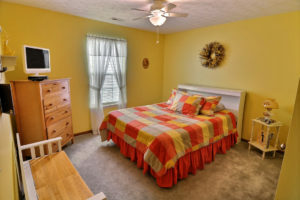 This community is a stones through from Meijer, Starbucks, Cracker Barrel and other restaurants, shops and gas stations, making it easy to grab dinner or groceries at anytime. With I-65 around the corner you can quickly head north for a weekend trip to Chicago to catch a Cubs game, or south towards Indy to Victory Field for an Indians game, a concert at White River State Park, or a trip to the Indianapolis Zoo! 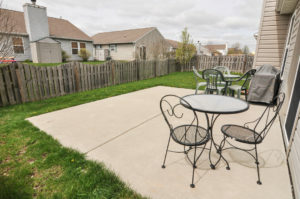 The oversized patio sits inside a fenced-in backyard! 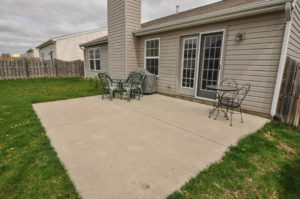 This space is perfect for grilling out, relaxing after a long day or for pets and children to enjoy. The current owner loves watching her grandchildren ride around on their scooters on the oversized patio. 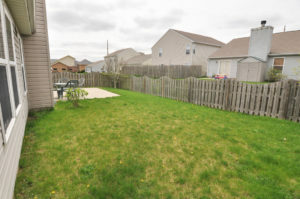 The Lexington Farms neighborhood has age appropriate parks, a location frequently on the “to-do” list when the grandchildren come to visit. The new Tippecanoe County Library is within walking distance of 394 Chapelhill Dr. and Wyandotte Elementary School is right around the corner from the subdivision. Arnett Hospital is also just up the road. 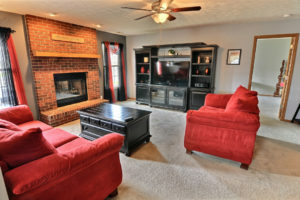 Inside 394 Chapelhill Dr. you will find an open kitchen/living/dining concept with a gorgeous brick fireplace! Open concept living has been a top priority for buyers because it creates a family atmosphere, which makes communication and entertaining easier. 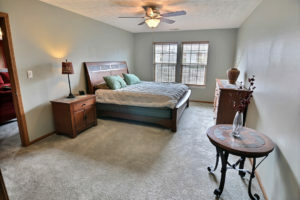 The master bedroom (12 x 18) is located off the living room. 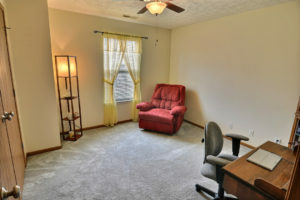 The two additional rooms (12 x 11) would make great bedrooms, guest rooms, office space or even a home workout area. Both bathrooms have a bathtub/stand-up shower combo making it easy for multiple people to get ready at any time of day. We know you will feel right at home upon entering 394 Chapelhill Dr. so give The Romanski Group a call today to schedule a private showing!